Southsea Skatepark since becoming a charity in 2011 has continually strived to be a place where people of all ages can be active and get creative taking part in skateboarding, BMX, scootering and more in a safe space in the heart of Southsea in Portsmouth. As a charity we aim for the park to be a place where participants can be physically active, discover new friendships with different peer groups, be inspired and learn to express themselves. In recent years the skatepark has actively reached out to different community groups, social enterprises, marginalised communities and more and is becoming a home not just to these sports and lifestyles but also to the arts and other creative activities too. 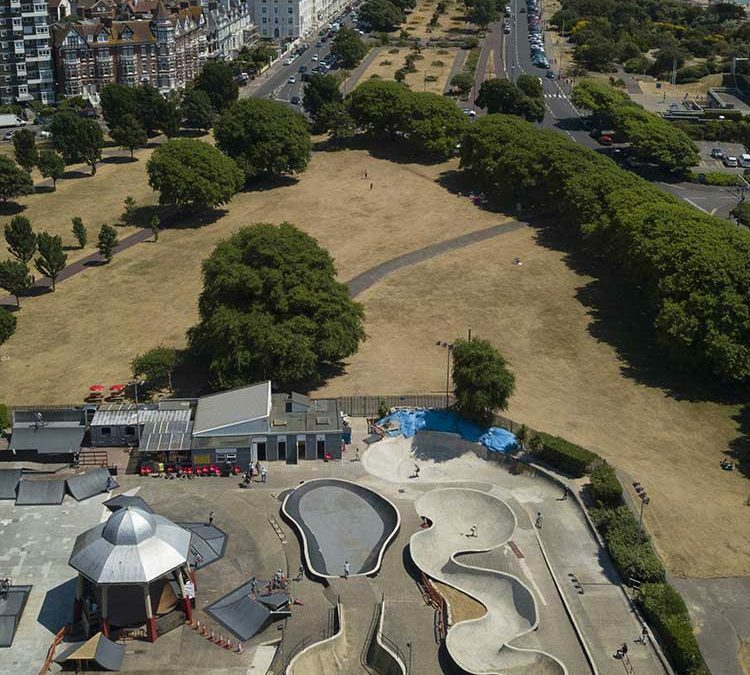 As part of our drive to increase access to Southsea Skatepark from the 27th of July we are really pleased to announce that all young visitors under the age of 16 with Portsmouth City Council Leisure Cards will now be able to come in to the skatepark for free. We are also looking at expanding this to include other local boroughs, where Leisure Cards, or their equivalent, are available. In a move to actively encourage these young people to come and get involved we will also be making available to them free hire of helmets, skateboards and scooters. We feel it is really important to give these young people in the city and the surrounding areas the means to not just try out these sports and lifestyles in a supportive and safe environment but to also come with their friends, increase their self confidence and, of course, have fun too.